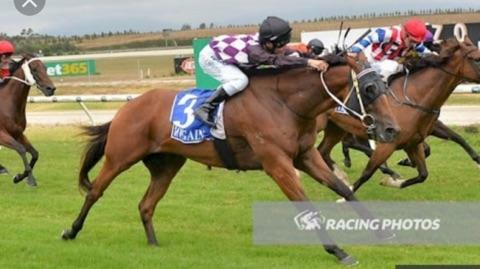 Promising Bel Esprit gelding First Watch returned to his best form first up over 1000m at Yarra Valley, claiming his second career win. After drawing wide and being taken to the back of the field after the start by claiming apprentice Jack Martin, First Watch commenced his run at the 800m and circled the field. The widest runner on the turn, there were many winning chances on straightening with eventual runner up Waterford Sound angling to get out from behind the leaders after having an easy run. Jack Henry and Angus Darling were fighting for the lead at the 100m when Waterford Sound got into the clear and First Watch was continuing his long run wide out. Just as Waterford Sound claimed the front in the shadows of the post First Watch surged to the line under the strong riding of Jack Martin to claim a memorable victory.